Women's Tag Belts: White leather. Similar to the men's tags but with some slight female themed changes. Not confirmed but rumored to be defended among all 4 brands (Raw, SD, NXT and eventually NXT:UK). The new NXT UK belts are not done yet. 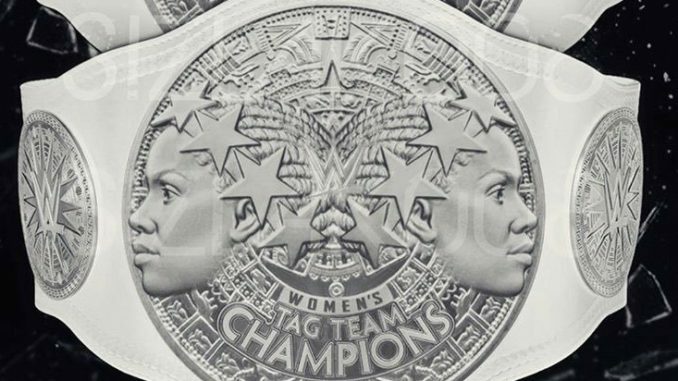 The new WWE Women's Tag Team Championship belts are done. White straps. Part of Stephanie's announcement on Raw.